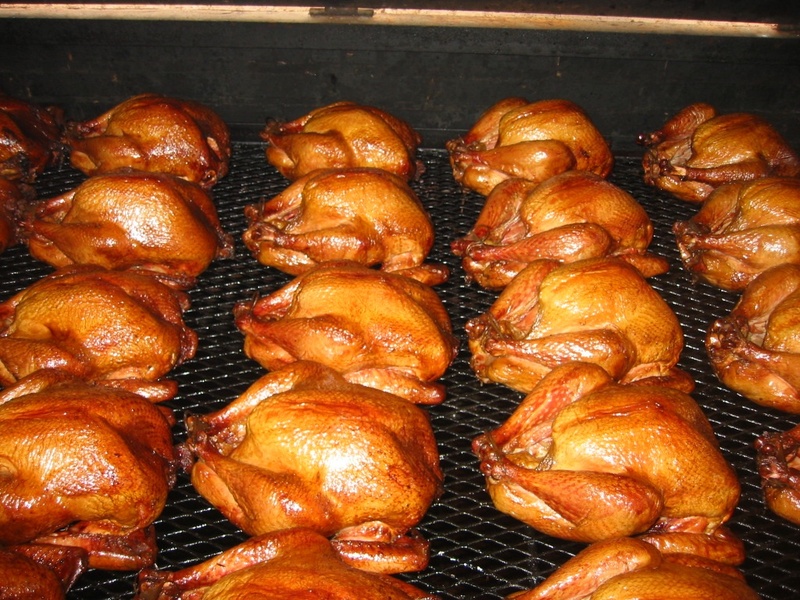 Smoked turkeys ready to come off the grill. Smoked picnic hams ready to come off the grill. Charles has announced the 2014 Thanksgiving Turkey and Ham Smoking fundraiser details. Smoking begins Saturday, November 22 and ends Sunday, November 23. We’ll need all hands on deck for this project, which is our biggest fundraiser of the year. 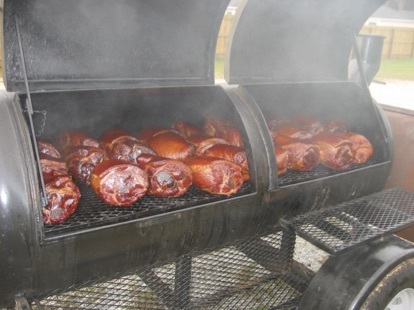 Finished turkeys and hams will be available for pickup at Price’s Barbecue House on Sunday from noon to 4:00 PM. All Civitans will be collecting orders. Customers can also order by phoning Laurel at: 334-545-0069. The price for both turkeys and hams remains at $35, the same since 2009. This entry was posted in Fundraisers and tagged Ham smoking, Turkey smoking on October 31, 2014 by kviversen.